Since 1919, Olympus has focused on improving people’s lives through innovation. As a precision technology leader in the design and delivery of innovative business imaging solutions, the company produces products that capture images of our world from the microscopic to the panoramic. They’re dedicated to helping people enjoy the continuum of life and developing technology solutions that contribute positively to society. Their commitment to customers and social responsibility is the cornerstone of everything they do. 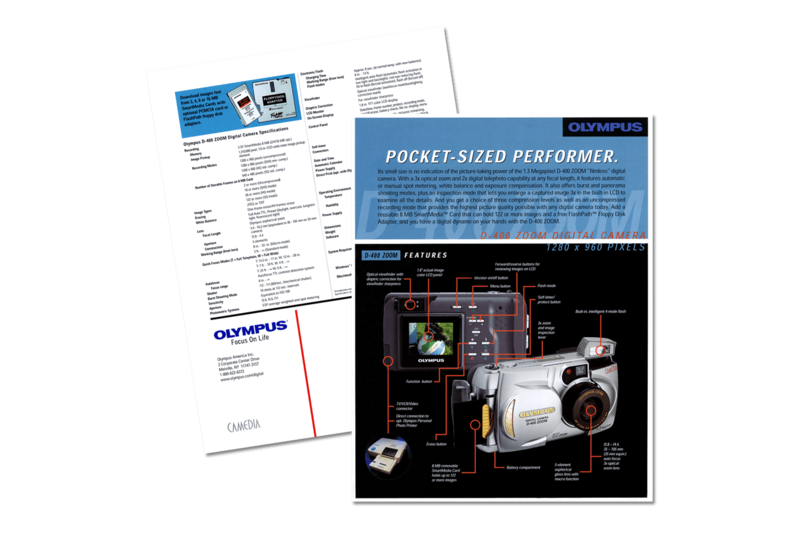 Olympus was looking for a bolder, more cohesive design for their marketing materials. At the time, the company had been using posters, data sheets, brochures, and trade show advertisements, none of which engaged consumers effectively. Olympus wanted a way to show the quality of their digital camera line to retail consumers and trade show attendees at a glance, with a simple layout rather than data-heavy explanations. 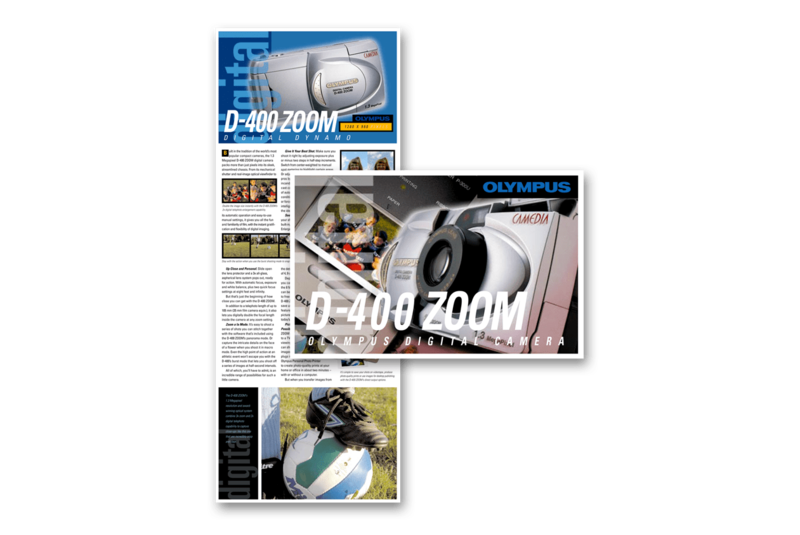 I came up with an idea to use Olympus digital cameras to shoot images for the marketing materials, which would allow Olympus to demonstrate the high-quality imaging they wanted to communicate. I used their image-editing programs to customize the images for a variety of media vehicles. Additionally, I developed a strategy which maintained consistent branding across the various printed materials in a simplified way. Olympus’ expectations were surpassed and the solution was an immediate success.